Not an ashtray? Ok, these are not cigarettes! No, I’m not talking about myself here. 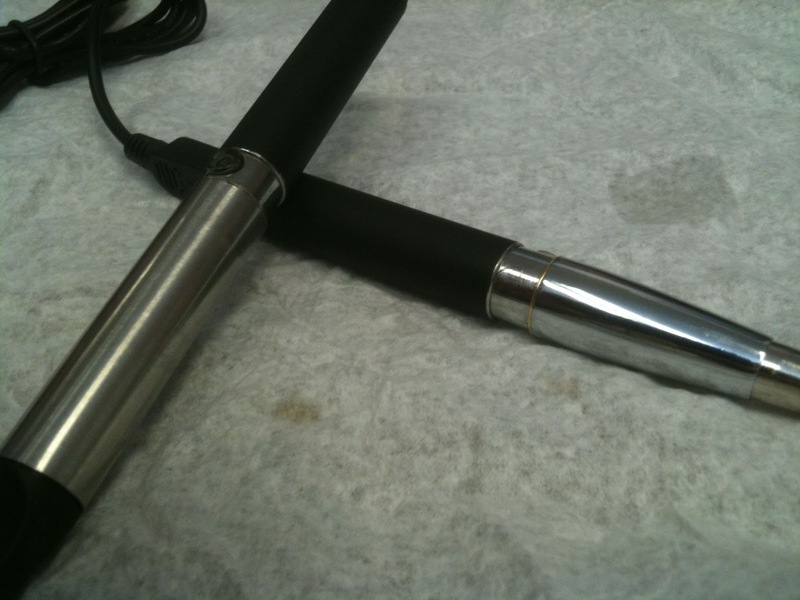 I am talking about my favorite electronic cigarette battery, the eGo. While the eGo is far from the most glamorous electronic cigarette in the world, I think of it as the workhorse of personal vaporizers. Originally produced by Joyetech in 2010, the eGo was designed as a longer lasting step up from the popular Joye 510 style of Ecigarette. The eGo provides around 4-8 hours of battery life (up from the 1-2 from a regular 510). The extra battery life means that the physical size of the device also has to increase. An eGo with the cone installed is roughly the size of a small cigar. 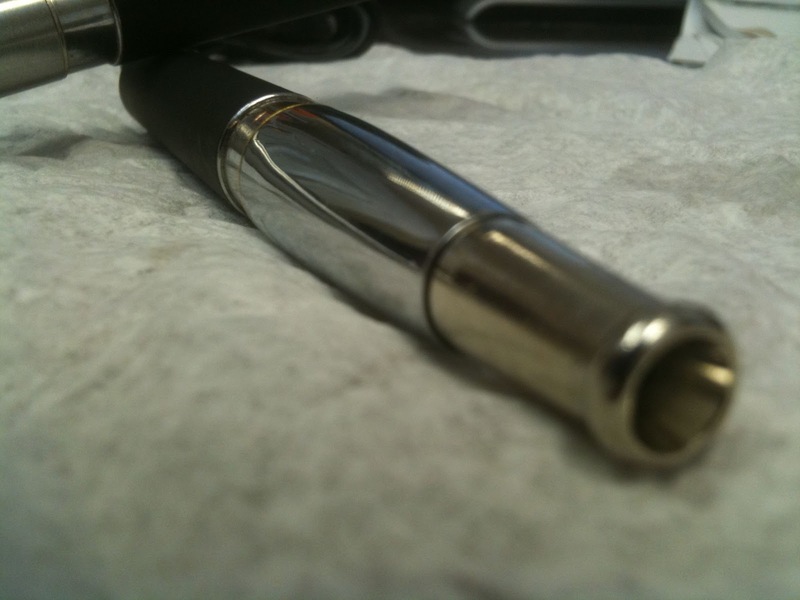 While the battery itself is quite a bit larger than a micro cigarette sized battery, the threading is the same, so most atomizers and cartomizers are interchangeable between the two batteries. Since the launch of the original eGo, a number of different companies have introduced offerings of their own, either by rebranding existing models or coming up with compatible products. The term eGo has sort of evolved into a generic term describing a certain class of electronic cigarette. Models now range from the standard 650mah batteries to units up to 1000mah and beyond extra large batteries. Finishes and styles often vary widely from simple black originals to the glossy and stylized Inferno. Variants that even use replaceable batteries exist as well. My go-to model is the 650mah USB pass through (one vendor also offers a 1000mah model). This Ecigarette battery looks like its standard brethern, but features a mini USB port behind a cap at the end. I like this configuration for a couple of reasons. First, I don’t have to use a regular screw-in charger, I can just grab any mini-USB cable (they are plentiful in my world) and plug it in. Second, I don’t have to worry about not paying attention and killing the battery, I can just vape away while it’s plugged in and charging. Of course, I still keep two of them around, just in case! Aside from the USB charging convenience, I like the bigger size, it adds a little bit of heft, so it doesn’t feel like it will easily break, yet I can still cart it around in my pocket. The larger diameter of the battery also means it can be used with larger cartomizers without looking awkward. In fact, the combination of larger battery and cartomizer completes the electronic cigar look. Looks of course aren’t everything, the important part comes with performance. While the eGo is a solid battery, depending on the model, it only outputs a regulated 3.2v of power. Combined with the low powered switch, there are a number of atomizers and cartomizers that simply are not a good fit for an eGo style battery. For that reason, I’ll probably always have other electronic cigarettes in my kit, but most of them won’t be my get in the car and go somewhere PVs either. 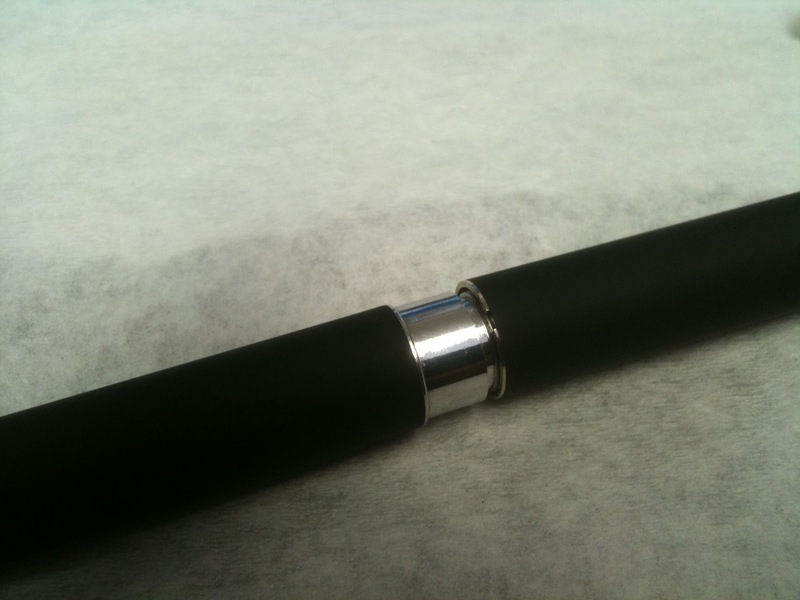 The eGo ecigarette is the workhorse of my vaping collection. It isn’t the slickest, most powerful or most versatile PV in the world, but it is dependable. Easy to carry around and available from everywhere in a host of styles and colors you’ll likely find one of these guys in just about any vaper’s collection.